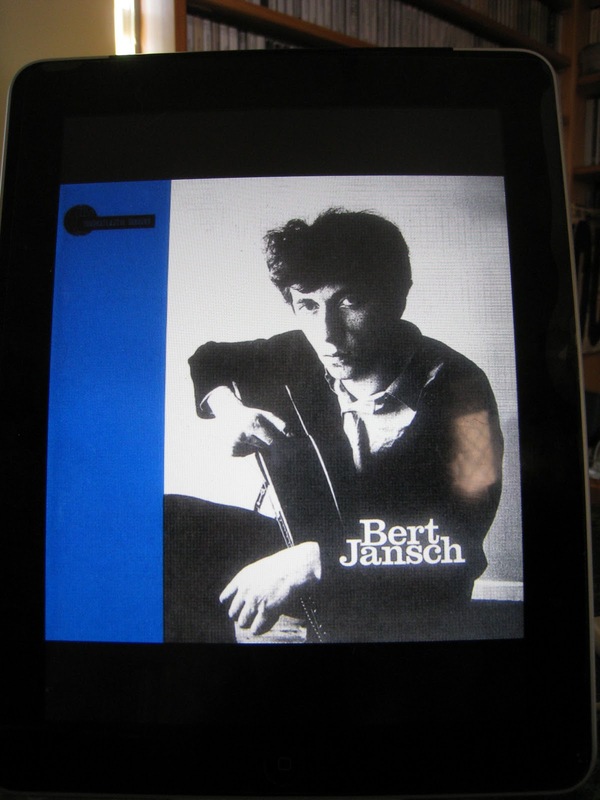 The Little House of Concrete Music: Bert Jansch "Bert Jansch"
Around ten years ago I was marvelling at the sonic beauty of Roddy Frame's Surf, recorded in his living room, allegedly on his iMac, but here, going back close to fifty years ago is a stark reminder that you don't need state of the art recording facilities to produce something that comes across crystal clear and moves in excess of 150,000 copies. Recorded in producer/engineer Bill Leader's flat on a semi-professional Revox tape recorder with blankets and egg boxes for soundproofing, from the opening Strolling Down the Highway, it's a seventeen track ramble through fingerpicked originals with Jimmy Giuffre's Smokey River and two takes on Davey Graham's Angie (one of them a live performance) and a nod to Charles Mingus on Alice's Wonderland. A glance at titles like Oh How Your Love Is Strong, I Have No Time, Rambling's Gonna Be the Death of Me, Running from Home and Dreams of Love might suggest common or garden folk club fare but we're talking one of the guys who set the benchmarks everyone else would be judged against. Needle of Death provides a blueprint for Neil Young’s Needle and the Damage Done and the basis for Ambulance Blues, a debt Young acknowledged by giving Bert the opening spot on his recent Twisted Road tour. Recommended if you've got an interest in the style and the starting point for what will be an extensive investigation of a substantial discography. $11.99 from iTunes. Small Faces "From the Beginning"